Michelin Summer Tire Promotion on Now! 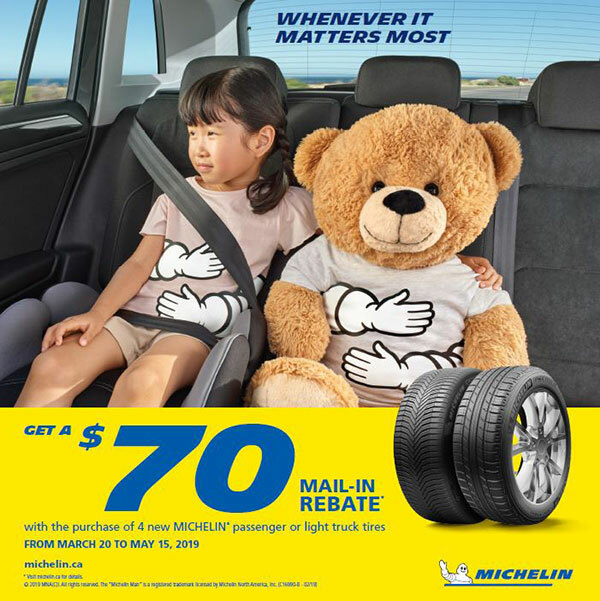 Get a $70 mail-in rebate when you purchase 4 Michelin all-season tires. Claim your Rebate - Click here.